To celebrate the launch of their noise cancelling One-Eighties headphones and sponsorship of big wave wonder Tom Butler, the generous chaps at Extreme have given us a pair of the colourful full size headphones to give away. Even if you only fly a couple of times a year, a decent pair of noise cancelling headphones are a great piece of kit. The noise levels on the average jumbo top out at about 85dB, that’s like lying in the middle of a roundabout in a busy city and trying to get some sleep. Not so easy. At the flick of a switch these headphones essentially cut out that constant drone of the engines, allowing to enjoy that heavily cut blockbuster film, or get some well deserved rest before you land in Bali at 2am. All you have to do to be in with a chance of winning is let us know your contact details at the bottom of this page. You’ll be entered into a draw and we’ll announce the winner at the end of the month. Good luck! 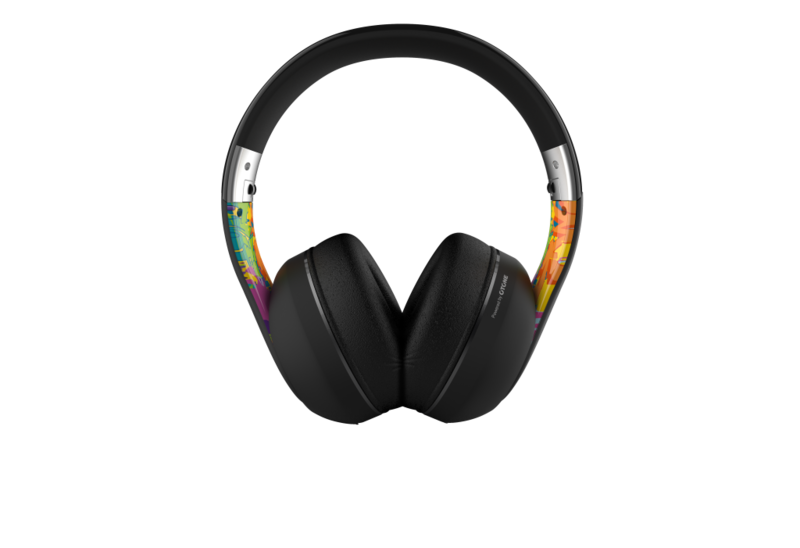 Extreme, The global pioneer of action sports content launch Extreme Audio Active Noise Cancelling Headphones. The One-Eighties headphones add to the Extreme Audio Powered by OTONE® range which launched in December 2015: A collection of portable Bluetooth® speakers and headphones, delivering exceptional sound quality, super light unique design with artwork influenced by Extreme’s iconic 20 Year anniversary images and the Extreme brand ambassador’s own flair for modern graffiti. One-Eighties deliver a new dimension to personal audio.One-Eighties incorporate Vortex DriveTM sound technology, which along with state of the art advanced Active Noise Cancellation, produce the ultimate personal audio experience. So whether you’re heading out to the skate park or preparing for that all time base jump,One-Eighties are the perfect way to drown out the world and get into your zone. One-Eighties, 3.5mm audio cable, 3.5mm audio cable with inline controls and microphone, Gold plated flight adapter, Gold plated professional ¼ jack adapter, neoprene carry case and user manual.